1. Preheat oven to 375F. Grease four 6oz ramekins with coconut oil. If you wish to serve these cakes on a plate, you will need to flour as well (use coconut flour, blanched almond flour, or cocoa powder). 2. 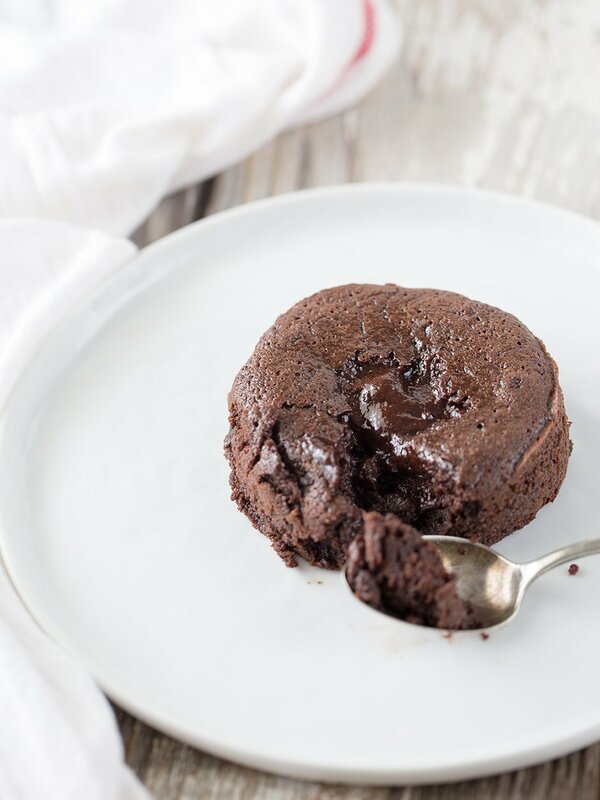 In a 4 cup measuring cup or medium microwave-safe bowl, melt chocolate and coconut oil in the microwave on low power. Stir until smooth and let cool. 3. In a small bowl, beat eggs, vanilla, salt and sugar with a hand mixer until light and frothy, about five minutes (this can seem like an eternity with a hand mixer, but hang in there because it’s worth it!). 4. Pour egg mixture over chocolate. Sift cocoa and coconut flour over the top. Then gently fold all the ingredients together. 5. Pour batter into prepared ramekins (they should be filled to within ½” of the top). Place the ramekins on a baking sheet and place in the oven (you can chill the ramekins for a few hours if you want to make them ahead of time, just make sure you bring them back to room temperature before baking). Bake for 11-12 minutes. 6. Remove from oven and serve immediately. Enjoy! Do you need help finding any ingredients? Check out Important Pantry Items for the Paleo Baker. When it comes to makeup, my bar is set super high. Lately, I’ve turned to Araza Natural Beauty, the world’s first Paleo Certified makeup company, because of their truly outstanding commitment to creating healthy products that last! I’m completely in love with their beautiful eyeshadow, foundation, concealer and lip gloss! I thought it was interesting that the recipe calls for sugar. I’m new to the Paleo diet, but thought sugar wasn’t allowed. Is their a substitute for the sugar? 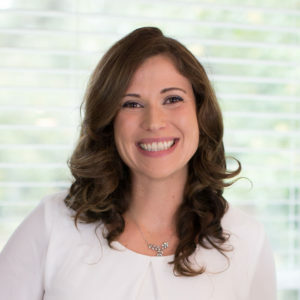 Basically, honey, maple syrup, raw sugar, and refined sugar have nearly identical effects on body chemistry (they are all about half fructose and half glucose). I suggest using caution with dose (my recipes typically don’t call for very much sugar) rather than trying to fool the body with a sugar substitute (which will probably mess up your body chemistry more than a small dose of actual sugar). Coconut nectar is a great, natural, low-glyemic alternative to honey or maple syrup! Coconut nectar is high in inulin fiber, which a predominantly fructose-based fiber. I’m all for low GI sugars, but not at the expense of increased fructose intake. I thought that we couldn’t break down the fructans in inulin to fructose to absorb? I thought it just fed gut flora and they made it into fatty acids for us to use like with other fibres- am I way off base? This was fabulous, and definitely hit the chocolate craving. Even the pickiest ones were licking their bowls. Thank you! I used the semi sweet, and left out the sugar altogether. There was enough sugar in the chocolate for us. While the glucose/fructose ratio is one critical aspect, there are other factors that significantly impact the glycemic load of a food. Most notably, the presence of other macronutrients like fiber. Additionally, the presence of micronutrients mean the food is actually nutritive rather than pure sugar on the body. Also, the organizing principe of pale nutrition is not essentially balancing fructose/glucose ratios, but rather returning to foods that we have all been evolving to know to process for millions of years. Honey and pureed dates are by this count the most Paleo, yet for regulating blood chemistry and managing insulin, you’d be best using stevia or coconut sugar. Event B grade maple syrup would be a step up. But refined sugar is the worst. I’ve heard that Truvia is the best sugar replacement, as it comes naturally from a leaf. That is what I use, don’t notice any differance in taste. Truvia is made by Coca Cola. It also contains erythritol which is a sugar alcohol. Many of us with digestive issues fare better having very small amounts of natural sugar over these sugar alcohols (ending in -tol) which can bother people with FODMAPs and other sensitivities. I’m not a fan of stevia since the molecules are very similar to human hormones and the long-term effects of regular consumption have not been studied. There are no good sugar substitutes. Some Honey/Stevia would do the trick anyday. Granulated sugar is so bad its not even funny. I thought that salt also should be banned in a Paleo diet?? I’m new to Paleo eating but my Chiropractor, who has eaten this way for quite awhile, told us to use raw coconut sugar. And so far, its been great! We buy the Madhava brand. Thanks for you comment! Palm Sugar is very popular in the Paleo community. But, I’m not a big fan of it since it contains a high percentage on inulin, which is an FOS and can cause gut irritation in sensitive individuals and those with SIBO. For people with very healthy guts, however, I think it’s fine in small quantities (I also think regular old sugar is fine in small quantities). Is palm sugar the same as coconut sugar? 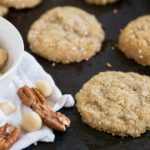 Could coconut sugar be used in this recipe? Yes, it is the same thing. I really dislike the flavor of coconut/palm sugar, but I think it would work chemistry wise. Great! Thank you. I think as a treat I’ll just use the sugar you call for. it probably wouldn’t provide the “leavening” that the aerated eggs do, but flaxseed meal and water combined substitute for eggs in other baking. also, cornstarch or arrowroot can substitute for eggs–2T per egg. Just found this and made it … yummmmmy! My decidedly NON-Paleo hubby loved it! He’s suspicious of anything I make now haha! Thanks! I made this a few weeks ago for my girlfriend after a rough night at work. I’ve probably had a dozen of these at various restaurants in the U.S. and France. This was as good or better than any of those. Turned out perfect. Thanks Sarah. According to alkaline diet proponents, regular consumption of these acid-producing foods causes a number of chronic diseases and health problems, including: osteoporosis, lower immunity, constant flues and colds, anxiety, nervousness, obesity, headaches, kidney stones and many others. And they believe that these diseases can be easily cured by simply changing your diet alkaline-wise. This was soooo good! My kids loved it and it was so simple! Made these tonight! Followed the recipe exactly, but used double boiler because I avoid microwaving. AWESOME recipe! Thank you! 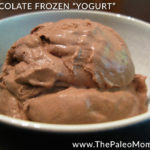 I’m new to the Paleo recipes – this is in fact the first I’ve made and I’ll be making it again! Really good. I substituted the sugar for coconut sugar and used 3 tbs as it’s not as sweet as cane sugar. Yummy! If we dont have coconut flour in our country (South Africa) , what other flour would substitute? We do have tapioca, almond, but not a whole lot of variety. I would try 4tsp of either tapioca or almond (tapioca would probably work better). Thanks! Something a bit off topic here under the cake- but on day 11 of the Paleo, and suffering from mouth and tongue ulcers (something I havent suffered from in months) , what could be causing this? Could be viral. Some viruses like herpes simplex virus lay dormant in your body and basically take advantage of a weakened immune system which is why they sort of seem to come and go. I would suggest increasing your vegetable intake, making sure you are getting quality animal fats in your diet, and maybe take a vitamin C supplement. This was amazing! 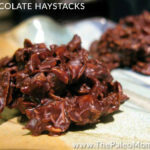 I’ve been on the GAPS Intro diet for 5 weeks and wanted to have something yummy and chocolatey for Valentine’s Day. This totally hit the spot. I used unsweetened chocolate and 4 TBSPs of honey instead of bittersweet chocolate and stevia. Thank you! OMG! Made this tonight and it was SO good!! Thank you for creating and sharing so many great recipes and all the amazing info!! Hey! I joined the ranks and made this tonight. Ohmuhgosh it was delicious! I just had to praise The Lord! Thanks for sharing your hard work and passion for food. Fantastic dessert!!! Made it tonight for a special dinner with my wife and parents!!! All non- Paleo, they loved it! I used gluten free all purpose baking mix, and baked it in a 9in round cake pan! Turned out perfect!!! Next time I’m adding fresh warmed up raspberries on top!!! Do you think using olive oil could substitute coconut oil? I’m not in the Paleo diet but I wanna use up some coconut flour I have ._. 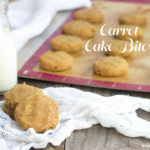 Made these tonight, I can’t eat them due to autoimmune but my non Paleo hubby and Paleo son LOVED them. My son (15yrs) finds it hard at times, had to go Paleo due to health reasons, but this just hit the spot for him. My hubby said they taste better than his packet mix he makes. How surprising!!! Slowly changing him. My family and I loved this recipe thanks! I really love reading your blog and it has helped me tremendously these last two weeks as I’ve been transitioning to Paleo. When I first realized I would have to give up eating whatever I wanted, I (truly) felt as if my life was over. It may seem silly, but recipes like this one (and the lettuce wrap tacos :}) helped reinstate my feeling of choice and empowerment when it comes to my diet. Thank you. I am on week 3 of the Paleo lifestyle. I really needed this since its been complete 180 and all these new meals have left me in need of a well deserved treat! First time I bake anything Paleo or even use coconut flower. When I opened the bag I was immediately excited. The flower itself smells delicious but the Lava cakes…Nirvana! If I have an IgG allergy to coconut does this mean I can’t have coconut oil? Should I substitute another oil and flour for this recipe? I’d love to make this one! Thank you for sharing this tasty treat! Is there a substitute for the coconut oil that you would recommend? I wasn’t sure if olive oil would alter the flavor of the dessert in a negative way. (I love everything coconut, except the oil. To me, it has a really strange after-taste and smell that I just can’t get used to.) Thank you!! I think olive oil would work… or maybe avocado oil. You could also try butter. Can you sub the baking squares for some semi sweet chocolate chips? Yes… just weigh them so you know you’re using the same amount. Thanks for the recipe! Sounds awesome. My husband is allergic to coconut. 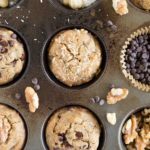 Could I use almond flour in place of the coconut flour? Is there anything that I can use instead of coconut flour? (that is not almond flour)… maybe plantain flour, or tapioca starch, or cornstarch (non gmo)? Thanks. Any of the above should be okay… just substitute about 4 time as much. What about monk fruit. I read it is the processed the least from it’s natural state? I made this last night and it tasted great but the name is a bit misleading? At least for me. I was expecting a “lava” like oozing of chocolate from the center. I thought i had over cooked it! I, too, used coconut palm sugar. I also had to substitute unsweetened cocoa powder for the cacao but it came out tasting great. This was so delicious thank you! I didn’t have the ramekins so I used large muffin tin and made 5 of them. Also I used honey in place of suga (just a bit less) with just a bit less coconut oil. So yummy!!! This was the perfect Valentine’s Day dessert. Highly recommend it with Talenti Sea Salt Caramel Gelato. (I dont think it’s Paleo.) Keep in oven longer if not firm on top. I only got 3 ramekins out of recipe..most likely because I couldnt get my eggs to fluff! Thx for posting. My family LOVED it!! Just made this tonight for a special treat and it was fantastic. Wow, it really hit the spot. Thank you. I made this tonight, I only got 3 ramekins out of the recipe but it was excellent, something I’ll definitely keep in queue for special occasions! Shouldn’t you follow you’re diet plan when posting recipes. This is certainly NOT a recipe that adhere’s to the guidelines of the ‘Paleo Approach’. Do they still rise if you make them ahead of time. I have an egg allergy could I use a flax seed and or chai seed blend to replace? I just made this tonight it is fantastically incredibly delicious I’m curious how many calories are in a serving??? I have made this twice aand both times they have come out perfectly. 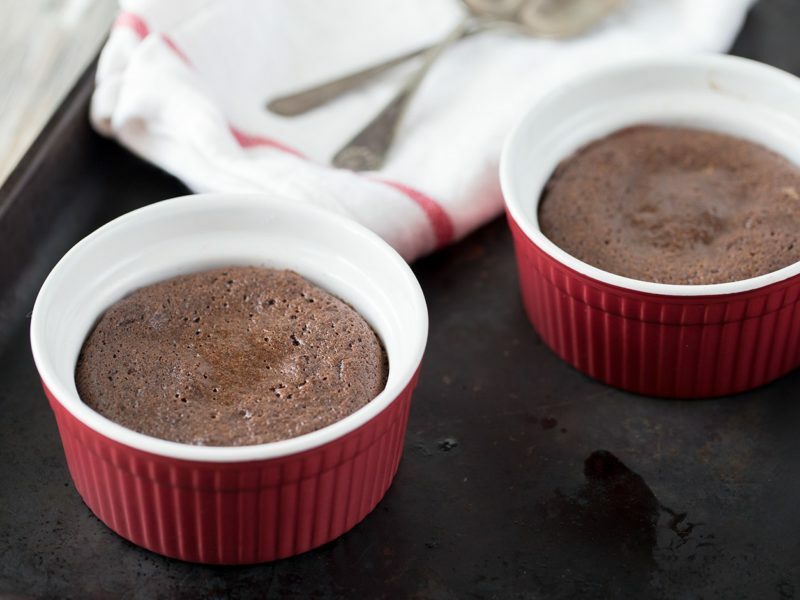 The best souffle I have ever had and so easy to make. How important is it to use a hand mixer vs a stand mixer (like a KitchenAid)? I don’t have a hand mixer and I don’t know enough about the ‘chemistry’ of baking to know how the change would affect things. Is there any way possible to make without eggs? I’m sensitive to them and I sure miss my mugs cakes! I try a flax egg to substitute but it doesn’t work for me. Thanks! Have you ever tried a gelatin egg substitute from He Won’t Know It’s Paleo? I’m going to try doing this tonight! Coconut sugar would be a better option than just sugar…this looks mighty tasty though. Are these supposed to be cooked through or slightly wet/moist on the inside? I made this recipe with two bigger ramekins (didn’t have 6 oz) and had to double to cooking time to get it a toothpick to come clean. It was delicious though! Could maple syrup be used to sweeten? Sooooo yummy! Thank you!! I used one bakers square chocolate and about 1/3 cup of enjoy life chocolate chips for the melted chocolate since I didn’t have any other chocolate on hand. I also used maple syrup. This recipe is fantastic! Can I use Stevia powder as a substitute? Are there nutrition facts on this recipe? I see a lot of recipes without nutritional info, I track carbs, fat, and protein daily. If you use My Fitness Pal app on your phone you can download the recipe into the app and it will calculate everything for you! Is the coconut flour measurement correct? Only 1 teaspoon? Silly you – this is nowhere near Paleo. Caveman would’ve loved to have it tho. 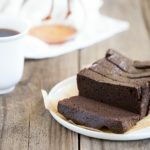 I would like to share this recipe as a Valentine’s day healthy chocolate recipe for a blog post I am working on for dailyhiit.com. Please let me know if that would be ok. I would submit a link page to this page as well. I don’t like coconut oil. Do you taste it after they cook. Can’t have sugar. Can I substitute Stevia? thanks. I’m sensitive to eggs, what can I use as a substitute that would work? Made this for my boyfriend’s birthday and he said this is exactly how he likes his chocolate cake. Thanks for this simple, delicious, and forgiving recipe. I used Enjoy Life semi-sweet chocolate chips and coconut sugar. Baked it in two Pyrex bowls instead of four ramekins since that’s what we had on hand. Left it in the oven for a bit too long for lava cake, but it turned into a light flourless cake! I’m allergic to coconut dairy and gluten and would need to use a replacement for coconut oil and sugar. Could I use maple syrup or honey? And what flour and oil would u try instead of coconut?